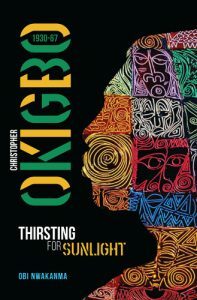 Exclusive to The JRB, an excerpt from the newly published first-ever biography of the Nigerian poet Christopher Okigbo: Christopher Okigbo 1930—67, Thirsting for Sunlight by Obi Nwakanma. The book’s publication coincides with the fiftieth anniversary of the end of the Nigerian Civil War in 2017 and the anniversary of the death of Okigbo, who died while fighting for the independence of Biafra. Along with Chinua Achebe and Wole Soyinka, Okigbo is part of Nigeria’s literary triumvirate, and is Africa’s most anthologised poet. 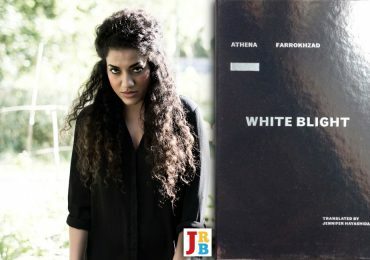 At thirty-five, he left behind a small body of work influenced by mystical Igbo folklore, the classical world of Greece and Rome, and the Beat movement. 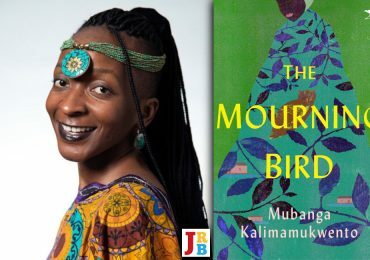 His work enjoys cult status among the new wave of young African writers today—one of the characters in Chimamanda Ngozi Adichie’s Half of a Yellow Sun is based upon him. Yet a biographical study of Okigbo has up until now been unavailable. This first full-scale biography reveals why the turmoil of his generation gave rise to such intense poetry and how he has become such a cult figure. 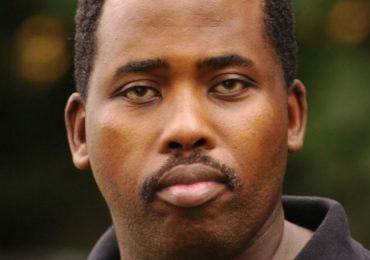 The author, Obi Nwakanma, is a journalist and poet, and Assistant Professor in the English Department at the University of Central Florida, Orlando, USA. He wrote of that moment. The 1960s was a remarkable decade in the history of the black race—long held back by years of colonization and despoliation. Independence meant that a new reality had dawned for Okigbo’s generation. The colonial child was now a man. Okigbo’s poem expressed high hopes for Africa at the threshold of its own historical rebirth. Time had assumed a clearer, more precise order and proportion. The spirit was truly in ascent. As both witnesses of colonialism and inheritors of the legacies of national liberation, Okigbo’s generation felt called to exercise a moral power and to signify the great sense of national awakening. ‘There was a lot of hope, a lot dreams—a sense of historic privilege,’² the playwright Wole Soyinka recalled of this moment. However, the mood was also tempered by the silent fear that all great changes provoke—a fear of possible failure, the truncation of the soaring hope, which came with liberty. There was some cynicism among the conscious intellectual elite. Many people felt that the great new tide of independence, the evocative and transcendent mood was flawed. Even though the loud drums of celebration drowned out the less timorous signals of danger, Wole Soyinka glimpsed the possibilities of failure; the marred awakening of independence. Soyinka’s early play, A Dance of the Forest, commissioned for the occasion, foreshadowed the crisis of the new nation. Okigbo was one of those intellectuals and artists who shared Soyinka’s inner disturbance—although he would later tell Soyinka at the opening of his independence play at Ibadan, that its message was ‘too cynical, too dark for this occasion!’³ He preferred to celebrate a buoyant hope. In many of the arguments they had after the play had been staged, Okigbo emphasized this criticism. Okigbo was not alone. The colorful celebration of Nigeria’s independence was a moment of sheer joy. Nigerians rode on euphoria. The air that October had a feeling of newness, of the final birth of a new nation in the season of the rains. Okigbo’s generation born into two powerful and conflicting worlds—hoped that independence would resolve the conflict of their existence as children of a colonial past. That sense of hope animated Okigbo. The University of Nigeria, Nsukka was built to express this new hope. As the first Nigerian university to award its own degrees, it was the ultimate symbol of Nigerian nationalism. The university opened its gates that October to one hundred and twenty pioneer students under the romantic motto ‘To restore the dignity of man.’ It was that vision captured in the wording and spirit of Azikiwe’s humanist vision and pan-Africanist agenda, and it emphasized the desires of a new elite of nation builders, poets, scientists, and teachers trained to serve and renew Africa. The nobility of that vision was etched in the coat of arms of the new university: the dignified majesty of the lion, that royal tetrarch of the jungle which symbolized the ambition of the young university. Nsukka also emphasized the dignity of labour. It was conceived as a land grant university, which provided liberal and technical education, while the University College at Ibadan emphasized a classical and humanistic curriculum. The new university was thus not only symbolic of the sense of political freedom and liberty gained, it also expressed the awakening of a people from a dark and painful past. The University of Nigeria was conceived as the harbinger of an African Renaissance. Alex Ajayi recalled that Okigbo was inspired by the romanticism of Nsukka’s founding. The poet became intimately tied into the beginnings of Nigeria’s first indigenous university. The manner by which he got the position of Assistant University Librarian at Nsukka was also quintessential Okigbo. At Fiditi Okigbo had seemed incapable of disciplined and routine employment. But Okigbo was determined, given the general mood of national rebirth, to start afresh. It is possible that he had been inspired by Chike Momah to find a niche in university administration. Momah had taken up a librarianship position at the University College, Ibadan in 1957, after three years as a Land Officer in Enugu, and seemed to be enjoying it. Another influence was Chukwuemeka Ike who had been appointed after graduating as an assistant registrar at the University College, Ibadan in 1956, under Dr. Biobaku, his old school master at Umuahia. When Biobaku moved into state administration as Secretary to the Government of the Western Region, Nath Adamolekun was appointed Registrar. Mr. Adamolekun encouraged Ike to apply for the job as Deputy University Registrar at the new university. Ike was among Okigbo’s friends who apparently encouraged him to apply for the librarian’s job. He said, ‘We had a regular discussion around these subjects, and around the question of his career interest. A number of our friends thought that Christopher did not have the temperament for a career in librarianship.’⁵ The fact that Christopher Okigbo had no previous training or experience as a librarian did not deter him. Anyhow, with Alex Ajayi already on his way out of Fiditi Grammar School, Okigbo apparently did not have many options. Alex Ajayi had also encouraged Christopher Okigbo to apply for the Nsukka job and drove Okigbo from Fiditi to Ibadan for the interview in the senate chambers of the University College. The story has been told by Chinua Achebe, of how Okigbo bought a book on librarianship, which he read during the ride between Fiditi and Ibadan. He got the job. There are, however, indications that his brother Pius may have influenced Christopher’s appointment. By this time, Pius had become an influential figure in the Eastern regional government, where he had been appointed Economic Adviser to the premier, Dr. Michael Okpara. Pius Okigbo and Dr Okpara were contemporaries early in the 1940s at Yaba Higher College, Lagos, where they played a lot of chess together. The premier also knew Christopher Okigbo. With such a pull in the Eastern regional government, owners of the University of Nigeria, it was not difficult for Pius Okigbo to provide a powerful recommendation for Christopher who needed a fresh start. It would be unfair, nevertheless, to suggest that this fact alone guaranteed the library job at Nsukka. Okigbo had personal qualities that must have impressed his interviewers, and his personal merit was adequately considered. Apparently, the only other candidate was the critic and poet Michael Echeruo. Echeruo did not get the job in the library but was appointed to teach drama, first at the College of Arts and Science in Enugu, then in the English Department at Nsukka. Michael Echeruo’s father was an equally powerful minister in the Eastern regional government at this time. Christopher Okigbo assumed duties at the university library on Monday 8 October 1960. The two years he spent in Nsukka between October 1960 and August 1962 would prove to be productive years for his writing. Four Canzones, although reeking ‘too much of Eliot’⁶ had just been published by J. P. Clark in The Horn. Nsukka in 1960 was in a rural outback, one of the last outposts of traditional Igbo civilization one hour’s drive away from Enugu, the Eastern regional capital. It was a beautiful place surrounded by hills, and at an elevation which made the weather temperate. The new university campus was built on a crest of the hill in the midst of a lush pastoral landscape. Okigbo found Nsukka’s rustic character most suitable to his temperament. Nsukka had the same pastoral qualities as Fiditi, which afforded the artistic mind the possibility of creative rumination. The happy difference was the cosmopolitan energy and intellectual mood of the people who had gathered in Nsukka. While in Fiditi, Okigbo had to make frequent pilgrimages to the University College, Ibadan, to find intellectual kinship. Nsukka was self-sufficient in that sense. At the founding of the university, many of the qualities of rural Igbo life were still intact and visible. Nsukka pulsated with the charming purity of a virgin place. This sense of the unspoilt nature of the land and its culture touched Okigbo’s imagination. In another important sense, resuming his life in this beautiful hill country, symbolized for the poet in an intimate way, a sense of spiritual homecoming. Settling in Nsukka was the culmination of a transition. It had begun earlier after Easter in May 1960, during the journey he had undertaken with his friend, Alex Ajayi to the East, to visit his ancestral home—Ojoto—after years of self-imposed exile. 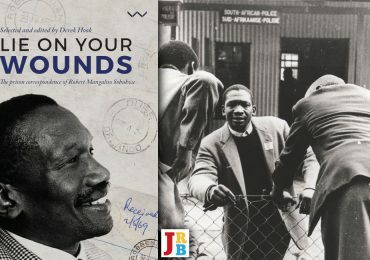 On that trip, they had visited Okigbo’s friends and numerous relations in other places in the East, ‘to reassure them on his life,’⁷ as Ajayi said. Okigbo felt a new sense of well-being, a final healing that helped him to break with a traumatic past. The lush May mornings heightened the perennial beauty of the countryside. There was a profound sense of peace, of fruition and gathering, of renewal and rebirth. Okigbo had spent considerable time with his father, talking late into the night; the poet smoking his pipe and cracking endless jokes with the old schoolmaster, retired from the Catholic Mission School system. He was always a reassuring figure in his son’s life and that trip home, as Alex Ajayi observed, helped rekindle the easy friendship they always shared. James Okigbo’s undisguised bond with his last son by Anna was expressed in a tough and grudging admiration for each other. Although Christopher did cause the old man numerous moments of anxiety, James Okigbo kept faith in him, and allowed the full expression of his quixotic personality. By all accounts, the old schoolmaster appreciated, and indeed encouraged, his son’s individualism. He was a man of liberal temperament and had taught his children to be independent and free to make their own choices. He had insisted from their childhood on the liberation of their minds. His father’s re-statement of faith in him was especially important in helping Okigbo fully reconsider his options. Making peace with his past involved a final healing of the trauma of his mother Anna’s death; it led to a reconsideration of his relationship with his stepmother, Elizabeth, with whom the poet could not get along easily as a child or teenager. Christopher had expressed this defiance in the most extreme of ways. For instance, according to Okigbo’s sister Susan, when in his senior year in secondary school, Christopher Okigbo had made a point of separating himself from the laws of the household. He constructed a demarcation from the corridor of the family house in Ojoto to carve a separate space for himself in the corridor. It was both a statement of protest against his stepmother, and an expression of his fierce independence and individualism. Susan recalled. ‘Christopher preferred to live in that space in the passage to his room in the family house, even though it was inconvenient for everybody else!’¹⁰ We hear echoes of this in Heavensgate in the line about the ‘young bird in the passage’ standing on one leg at the passage and mourning ‘a mother on a spray’, Okigbo seems to be referring to those significant elements of his past from which he constructs the central meaning of his poetry. We may read it as Okigbo’s figuration of a state of innocence and aesthetic limitations. Those lines however refer to Okigbo’s adolescent act of rebellion, his symbolic abdication of his place in the family, in defiance of his father and in rejection of his stepmother, his act of separation or self-exile. Such acts of rebellion were constant in Christopher Okigbo’s young life. Thus, in returning to that origin—where springs the fountain—he affirms the desire for reconciliation, through self-awareness, by comprehending the basis of his psychic conflicts. Okigbo also visited Ire, his maternal home, and spent a reflective time with his maternal uncle, the old priest of the Ajani shrine, whom the poet always thought of as a regent standing in for him as the priest of the goddess. He spent evenings at the groves of the Ajani shrine, contemplating the ancient mysteries of the Igbo religious system. 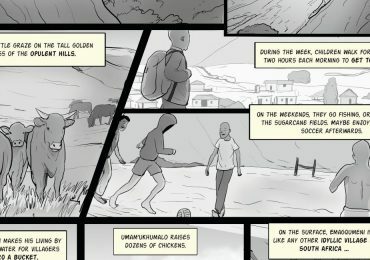 The result of Okigbo’s trip was the poem ‘Lustra’ the fourth sequence in the Heavensgate poems. Ojoto was ‘where springs the fountain,’ the source of Christopher Okigbo’s creative experience and identity: the poet had gone ‘there to draw from’ its spiritual fountains and after a long spiritual and physical absence, the poet symbolically reclaims his heritage in Idoto. I have had my cleansing…. The spiritual and aesthetic essence of his ancestral land, ensconced in forests and groves only twelve miles from Onitsha, rekindled Okigbo’s imagination. The ‘stations of the cross’ in the poem represent Okigbo’s psychic or symbolic journey, revisiting those silent, repressed parts of his memory and the various turns of his life’s journey. Heavensgate is the projection of an aesthetic experience through which the poet constructs and explores the fable of man one in which the interpretation of the poet’s private life is linked to the terms of a communal myth, and yields the possibility of collective redemption. And redemption is by a return to an experience, which Okigbo enacts, partly by the symbolic offertory to the upkeep of the Ajani shrine through his uncle Nweze Ikejiofor, whom he gave money regularly for that purpose, and partly by the possibility of his poetry. The poet had smelled his native earth again. His pilgrimage was complete. 2 Interview with Wole Soyinka, Abeokuta, 1992. 4 Interview with V.C. Ike, Lagos, 1993. 7 Interview with Alex Ajayi, Lagos, 1992. 8 Christopher Okigbo, ‘Lustra IV’, 1960/61 Heavensgate, Labyrinths. A Celebration of Christopher Okigbo, National Museum, Enugu, 2 November 1996. 10 Interview with Susan Anakwenze, Nsukka 1994. 11 Christopher Okigbo, ‘Limits I–IV’, Heavensgate 1961.